Program Announced for IWES Gold Coast 2018! We’re excited to announce the program for IWES Gold Coast 2018. Please download the full brochure for more details. Secure your place at our early bird rate by sending your completed registration form to info@iwes.com.au today. 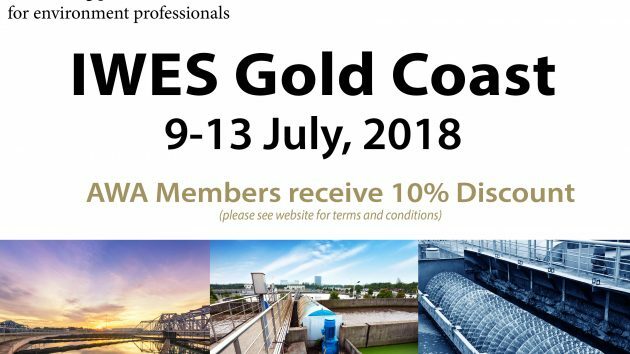 Don’t forget, if you are an AWA member, you are also entitled to 10% discount on your individual IWES registration fees. “Knowledge, concepts and one-on-one interactions to be able to better assess and complement our membrane operations” – IWES Sydney 2018.